Ten people from the same French family were killed in the Air Algerie plane crash, which went down in Mali on Thursday, killing the 118 passengers and Spanish crew members. French President François Hollande confirmed on Friday there had been no survivors. Fifty-four French people were among those travelling the route from Burkina Faso to Algeria. “There are, alas, no survivors,” Hollande told reporters on the steps of the Élysée Palace in Paris. He said that debris from the crash was “concentrated” in one area. 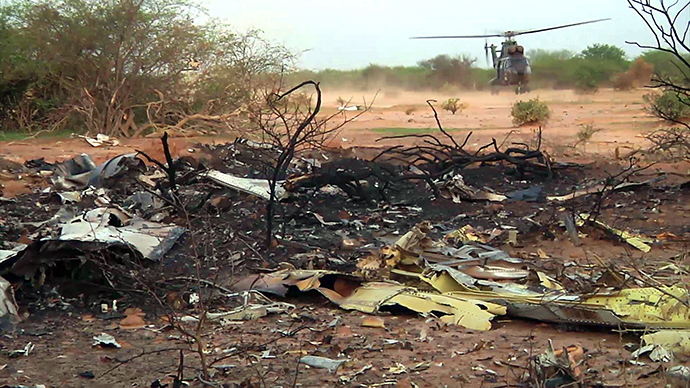 The wreckage was discovered late on Thursday in Mali by a French military drone. On Friday, Algerian Foreign Minister Ramtane Lamamra said that an armed group had been present at the site of the crash on Thursday. One French citizen, Amadou Ouedrago, told France 24 that his little brother had been on the flight and that the news was a complete shock to him. “I can’t believe I have lost my younger brother,” he said tearfully. In addition to the French nationals, there were 24 Burkinabe, 8 Lebanese, 4 Algerians, two from Luxembourg, one Belgian, one Swiss, one Nigerian, one Cameroonian, one Ukrainian and one Romanian. However, later official statements said that there had been 27 Burkina Faso nationals, as well as five Canadians and four Germans. The UK Foreign Office confirmed on Friday that a British citizen was also killed in the AH5017 crash, adding that it was providing consular support "at this tragic time". A spokeswoman for Spanish private airline company, Swiftair, which operated the flight, confirmed early on Thursday that it had lost contact with one of its planes operated by Air Algerie on Thursday. The plane had been an Air Algerie MD-83, flight AH5017. 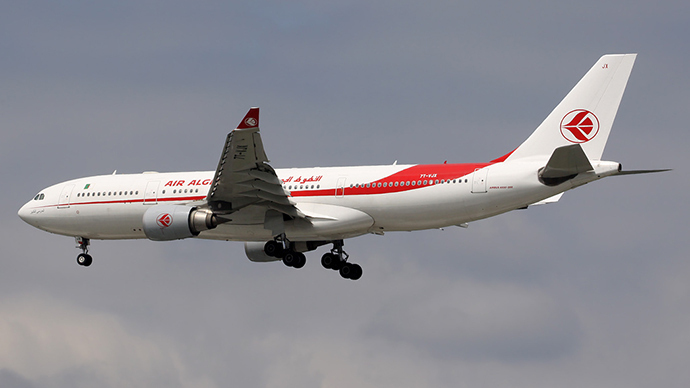 “Air navigation services have lost contact with an Air Algerie plane Thursday flying from Ouagadougou to Algiers, 50 minutes after take-off,” the airline said. Swiftair said that there had been “no contact” with the missing aircraft after it disappeared.